Most Atlantic Flyway duck hunters are realists. They hope opening day will bring a mallard or black duck and maybe a limit of wood ducks. As the season moves along, many venture onto big water for divers and sea ducks, sporadically finding clusters of puddlers to pursue. Honkers are in the mix, too, of course, but pressure on them can get high in a heartbeat. 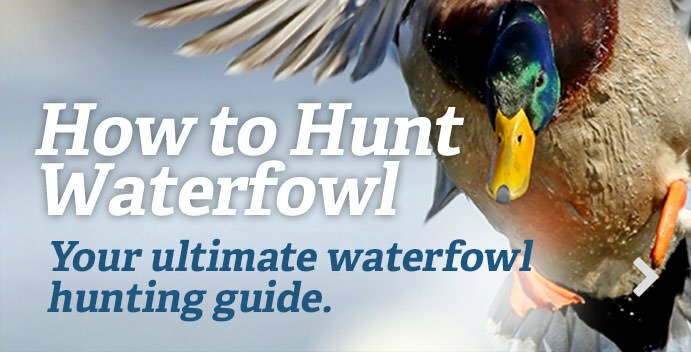 It’s tough hunting — and it’s about to get a lot tougher, especially for those lucky few that have a secret mallard hole to which they only take their most trusted friends. The U.S. Fish and Wildlife Service and Atlantic Flyway Council have proposed that mallard limits need to be reduced in the Atlantic Flyway. The northeastern population is in decline; down 20 percent since 1998. Mallards decreased 4 percent from 2017 to 1.06 million, according the 2018 USFWS breeding survey. That’s not good news for Eastern hunters, most of whom are understandably upset the recommendation for the 2019-’20 season would take the limit from four to two. It’s curious the USFWS/Atlantic Flyway Council conglomerate proposed the hen limit stay at two. That doesn’t seem to jive with restoring the population. Some biologists will tell you shooting hens does not hurt healthy duck populations, but when ducks are in decline, killing egg-layers doesn’t fly. Delta Waterfowl came out strongly against that bag-limit model and suggested a three-bird/one hen limit, which was backed by a thorough survey of Eastern waterfowlers. Delta also asked that further harvest analysis be done. The USFWS and Atlantic Flyway Council said no thanks. Various theories seek to explain the supposed decline of Eastern mallards, habitat being chief among them. Some major Mid-Atlantic refuges are hurting or have become non-existent. Prime Hook NWR used to be one of the best places in the region to shoot a duck. It was a beauty of a freshwater marsh on the western shore of Delaware Bay. Some years ago, a Nor’easter caused the levees to give, and saltwater came rushing in, causing massive habitat damage. Now no one shows up to the daily blind draw. According to Delta, there’s also a relative abundance of greenheads compared to hens in the flyway, another problem that’s stifling the growth of mallard populations. Mallards are also breeding with black ducks and mottled ducks in the southern reaches of the flyway. With the loss of habitat, some Atlantic Flyway hunters believe mallards have changed their flight patterns and possibly breeding habits. With fewer places for refuge during their fall flight and increased pressure (because there are fewer acres to hunt), some hunters speculate that mallards have moved westward, skirting the edges of the Mississippi Flyway. One thing is for certain: It’s going to hurt the livelihood of folks on the Eastern Shore. The future of the flyway will be decided at the end of September, with an announcement likely coming in October. We contacted the USFWS and Atlantic Flyway Council, and the USFWS would only say that no final decisions have been made yet, so it would be premature to talk about a determination. “I worry that this could have an adverse effect on other species, like sea ducks,” the Delaware hunter said. “Sea ducks are becoming so popular — brant, too. More guys are going to start chasing them.